Even when you do your best to maintain your sprinklers, there are things that can go wrong. One of the most common problems that homeowners experience is low water pressure either to a head or the whole system itself. With a little investigation, you can likely determine what the cause is and either fix it yourself, or you will know what kind of service to request. 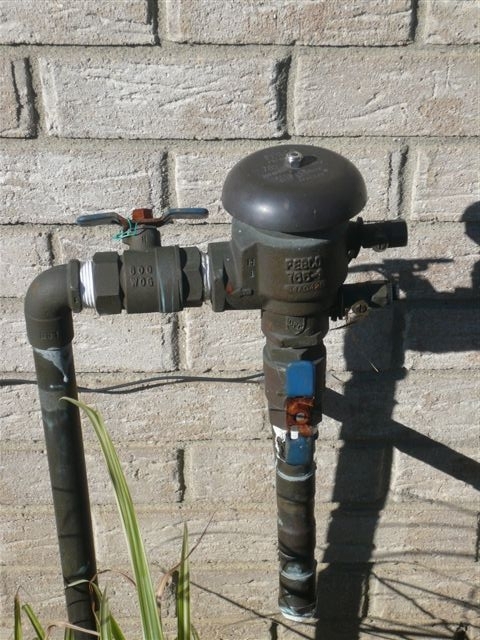 Here are a few of the most common issues you will find that can cause low water pressure. This is the first culprit to suspect when your system is not getting enough pressure and the pressure from your home is okay. 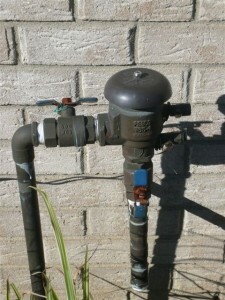 The backflow preventer has two pipes, one horizontal and one vertical. Each pipe has a handle that is either turned parallel (running in line with) or perpendicular (across) to control the valve opening. The valves are fully open when the handle is parallel to the pipe. Even if it is partly correct, the water may not be flowing as freely as possible. Another very common cause for low water pressure in your sprinkler head is a broken line. The first thing to consider in this case is whether you or a service provider has recently done any digging in your yard. Another option to consider is whether anyone put anything into the ground near a sprinkler line such as a plant holder, trellis, fence, stake from tent, or a screw to hold a dog leash. If so, a line may have been cut accidentally and it will need to be repaired. If the low pressure problem is with just one head, the issue could simply be grass has grown up around it which is not allowing the water to jet out properly. A simple thing to do to solve this is to check to make sure the area around the head is clear and it’s able to move freely in all directions. Another possibility is that dirt has clogged the line. When a line break occurs, dirt may fill the in a line causing a clog. Also, over time, even a small crack in a line will wash dirt into the system. Another way dirt can get into a line is during common repairs and maintenance. It is good practice to flush the line to the last head of the zone being fixed. This will minimize the risk of clogs and insure proper function for the future. Tree roots are often a cause of water interruption in sprinkler lines. They can grow through or around lines to the point where the line is completely crushed or filled. Finding the source of a root blockage can be one of the more difficult issues to solve and repair, but if it’s not done, the situation will only get worse over time. As everyone knows, this summer has been extremely hot and dry throughout the Metro area. As one might expect, this is tough on city water systems. Even though some cities/townships have water restrictions, others do not. This means some neighborhoods could be watering more than others and affecting the pressure of nearby areas. 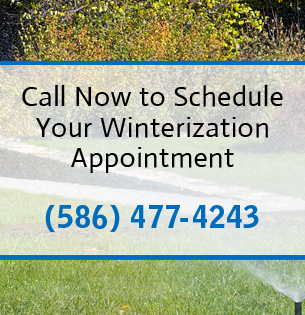 If you are experiencing low pressure and none of the other reasons above seem to apply, it may simply be a case that you will have to wait for weather and watering situations to return to normal. If you feel it is a significant problem, you could contact your local water company or government offices. As you can see, there are many potential reasons for low water pressure in a home sprinkler system. Many homeowners choose to take care of some of these problems themselves. However, if you are unsure of what to do, it is always best to call a professional to make sure the job is done correctly and safely.